Veteran actor Dilip Kumar has been hospitalised in Mumbai's Lilavati Hospital because of breathlessness following a chest infection. The same was tweeted by his close friend Faisal Farooqui. Veteran actor Dilip Kumar has been admitted to Mumbai's Lilavati Hospital. Following uneasiness and breathlelssness due to chest infection, the 95-year-old actor was taken to Lilavati Hospital. The news was shared on Dilip Kumar's official twitter account. It was tweeted that the actor had to be admitted after he felt some breathlessness because of chest infection. Due to his advanced age, he has been visiting the Bandra hospital for improvement in his overall health and well-being. For now, the actor has been kept under observation and tests are being done to diagnose the exact cause of breathlessness is. The news was tweeted by Faisal Farooqui, who is close friend of Dilip Kumar. This is what the tweet read, "@TheDilipKumar has been admitted to Lilavati after he complained of breathlessness. Due to advance age, Saab has been routinely visiting the hospital for overall health care and health management. 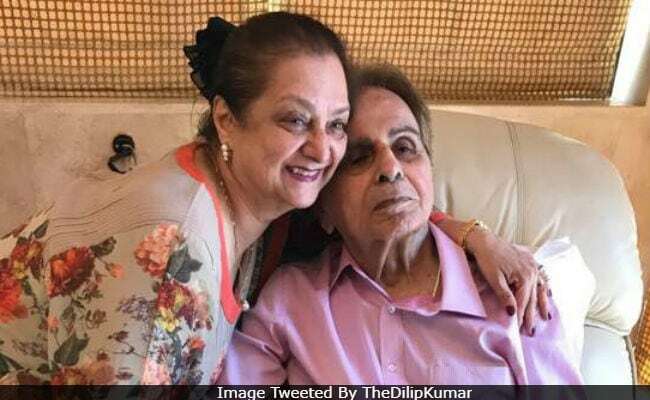 Allah is kind that He has blessed @TheDilipKumar Saab with such wonderful family, friends, well wishers and the prayers of millions of people all over the world. Pls keep him in your prayers." It was in August last year too that the actor was admitted to Lilavati Hospital in Mumbai over complaints of dehydration and urinary tract infection. Dilip Kumar is one of the most prominent names in Bollywood today. His performance in films like Mughal-E-Azam, Devdas and Ram Aur Shyam to name a very few, made him garner thousands of fans across the country. He is married to actress Saira Banu and also been awarded the prestigious Dadasaheb Phalke Award in 1994. Dilip Kumar made his Bollywood debut in 1944 with the film Jwar Bhata. More updates from the hospital regard Dilip Kumar's health are still awaited.